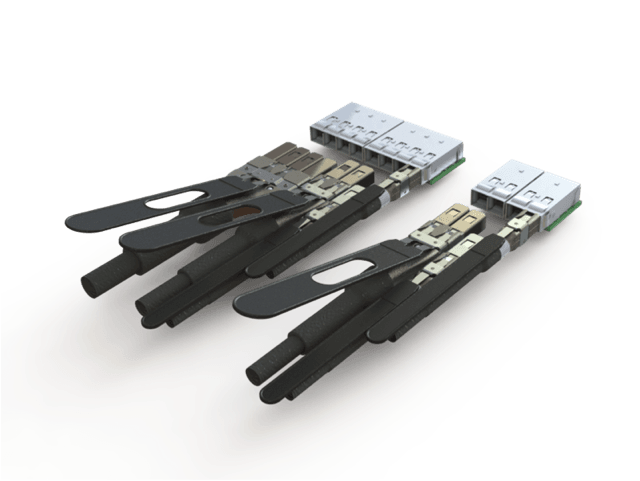 The RCx Multi Source Agreement (MSA) describes a high density, low cost, passive copper connector and cable system, specifically designed for Intra-Rack connectivity of 25Gb, 50Gb, and 100Gb Ethernet. RCx was designed from the ground up as a simple, low cost passive electrical connection for intra-rack switch to adapter deployments. The streamlined design eliminates the need to include provision for active electrical components such as EEPROMs, optics, retimers, or management ICs. By designing switches and adapters to RCx, not only is the connector and cable system lower cost, but the electrical design of the switches and adapters themselves can be simplified significantly, thus further reducing overall solution cost.